The large salvage operation of the MSC Zoe's overboard containers was shut down on Saturday due to bad weather. According to Rijkswaterstaat, it is "very likely" that the circumstances are still not suitable on Monday. Salvage ship Atlantic Tonjer has been on the spot in the Wadden area since Saturday. The very first container that would be salvaged is located in an area above Rottumerplaat. 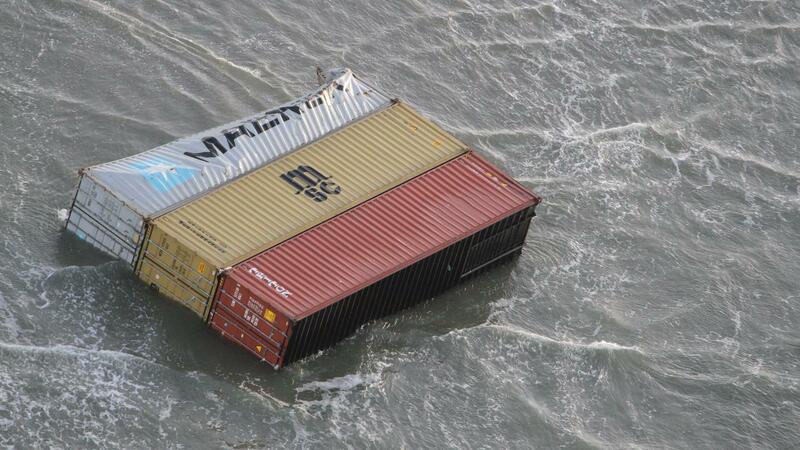 "We looked at how the container is located and what the wind is like", says a Rijkswaterstaat spokesman. This showed that it was impossible to get the container out of the sea. It is now certain that the disposal operation will not be resumed on Sunday, according to the spokesman. The operation may start on Monday, but it is "very likely" that the conditions at sea are not suitable for a salvage operation. "The advantage now is that the ship is already in the Wadden Sea area." The Atlantic Tonjer, which can accommodate "lots of" containers, was in the port of IJmuiden until Saturday morning. A second ship that was on its way, a survey ship that does soil research, has already returned to the port of IJmuiden. A total of 291 containers were thrown overboard from the MSC Zoe in the night of 1 to 2 January. There are 238 localized, 18 washed up (of which 1 in Germany) and 7 recovered. The contents of various containers washed up on the Wadden and the mainland of Friesland and Groningen.